Since I am a Sass-beginner I just wanted try it out in a smaller project first. I wanted understand the structure and logic using this new Sass(y) way of writing CSS. It turned out that Sass really was useful when wanting to add or change color palettes. 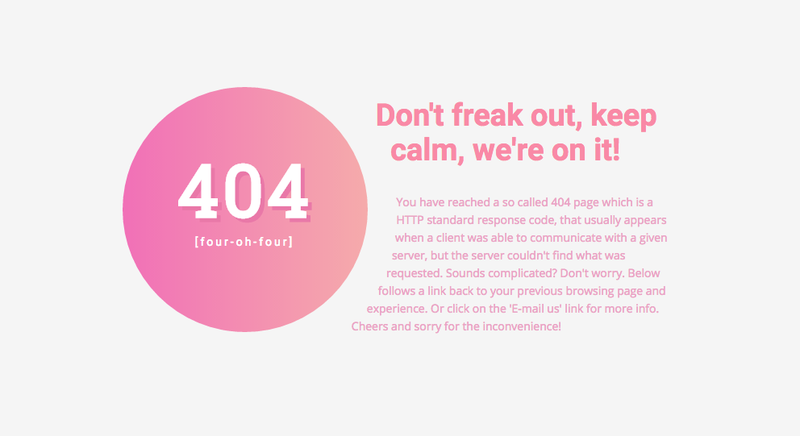 Which was perfect my 404-page. Who doesn’t like small and thoughtful surprises when they visit a website!? 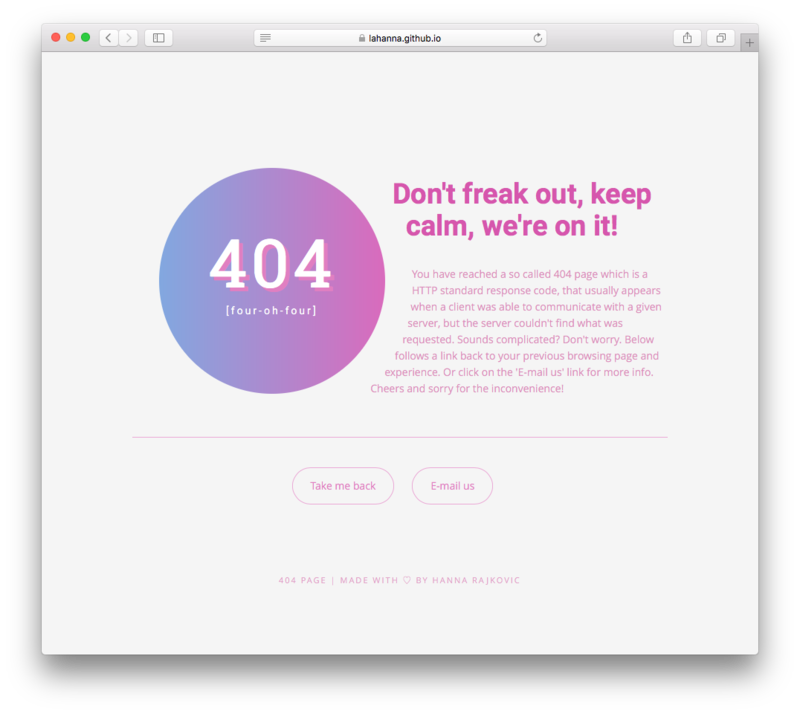 Hopefully a user/visitor doesn’t come across too many 404 pages, in their browsing experience, but if they do, then it should be pretty and colorful 😉 and maybe changing color on page load? 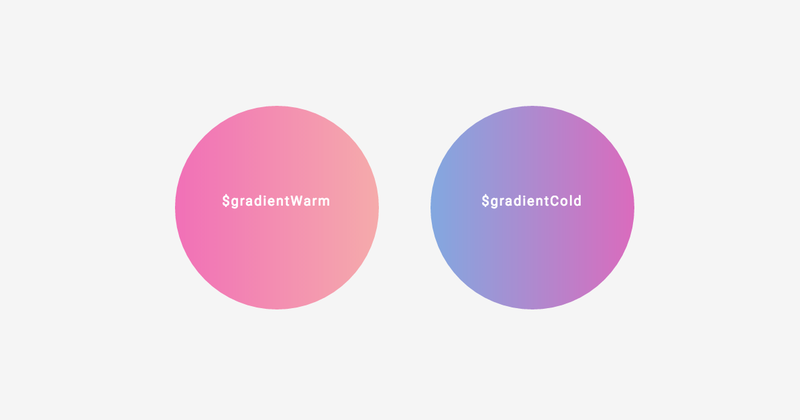 A few weeks ago I found this awesome web page, uigradients with all kinds of different gradients. Which inspired me to use gradients in my next project myself. I used one warm gradient and a cold one, seen below. Now the buttons were a bit tricky. Normally I would used a background-color to set the color when hovering, but this time around I had to define my gradient with a background-image instead, in order for it to work. Exactly how to create this smooth animation hover, only in CSS, can be found here. Curious to see the actual 404-page? Feel free to check it out on my GitHub pages here 💜 or go straight to the code here.